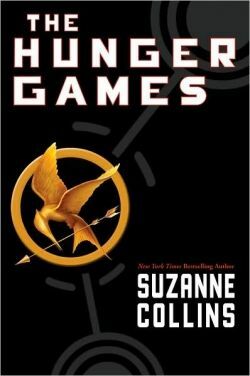 A little behind the times, I am just now finishing the third book, Mockingjay, in the Hunger Games trilogy by Suzanne Collins. The first book in the series has been on the New York Times Bestseller list for 78 weeks and the other two books in the series have been solidly positioned on that list as well. As a matter of fact, when Mockingjay was released it sold 450,000 copies in the first week causing it to see its debut at the top of the New York Times Bestseller list. 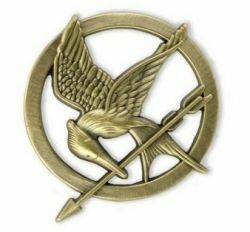 The trilogy and the upcoming movie are so popular in fact that they have spawned a wonderful selection of official (and unofficial) merchandise including but not limited to items featuring the Mockingjay. Click here to order your Mockingjay Pin from Amazon. I did not enjoy Katniss Everdeen's world at all. A mockingjay is a bird that can trace its roots to another bird known as a jabberjay. Jabberjays were created to be spies and to overhear conversations and bring the information back to the government. However, the rebels figured out what the jabberjays were up to and spoke falsely whenever the jabberjays were around, eventually rendering the jabberjay useless. After a while, the jabberjays mated with mockingbirds becoming the mockingjay. The mockingjay can not repeat conversation but it can repeat song lyrics. What Significance Is The Mockingjay Pin? The mockingjay pin was a special token that Katniss Everdeen took with her when she went to the Hunger Games. A friend gave her the pin as a good luck token. The pin became a symbol for not just Katniss Everdeen but also for the people of the districts. 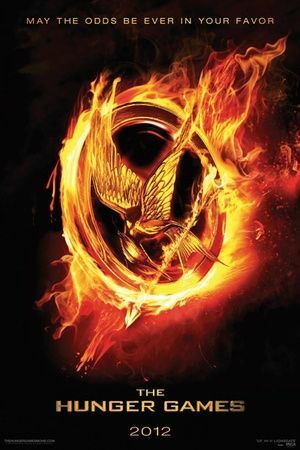 You can see the mockingjay pin on the cover of The Hunger Games shown here. "Music draws mockingjays like blossoms do bees..."
Wondering Where You Can Get A Mockingjay Pin? The mockingjay pin is an official product associated with the movie being produced by Lionsgate Films. It's a great souvenir of your love of the books or a great accessory to wear to the movie. I love the idea of wearing it as it will 'mark' you as someone who knows and loves the series. The manufacturer, by the way, recommends this piece of jewellery for individuals aged 14 and up. None of these items are expensive; they are fun and actually very inexpensive. Be sure, therefore, to have think of them as such. 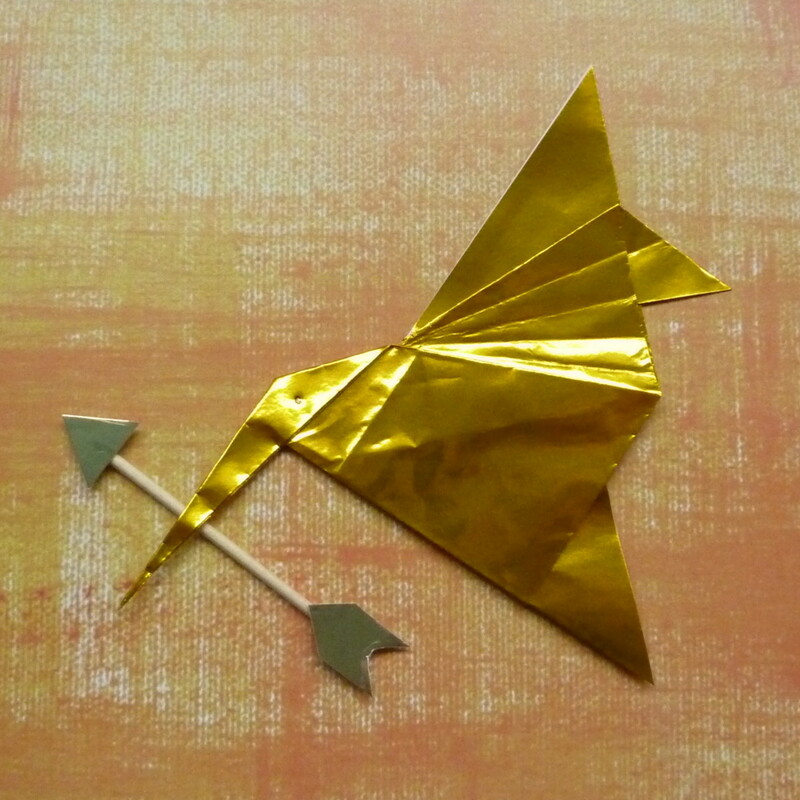 They're mass made items designed to declare your interest in the movie but they are not made of real gold or silver. The Hunger Games Movie Earrings Hoop "Mockingjay"
The Hunger Games Movie Necklace Single Chain "Mocking Jay"
The Hunger Games has inspired some beautiful pieces of jewelry. If you want something special that is themed after The Hunger Games and The Mockingjay, you might like to check out some of these amazing handcrafted items available from the sellers on eBay like this one by Italian seller unognomo1. You will find it and others from the same seller on eBay by clicking right here. 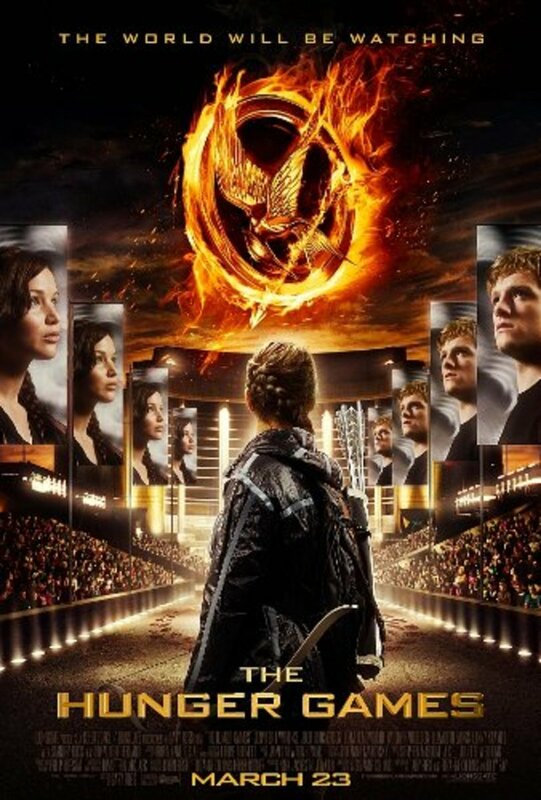 Another interesting way to bring a Mockingjay into your collection is by choosing a poster that shares the image as is shown in this one. The poster retails on All Posters for just $10 unframed but is also available for sale framed. You can check it out at allposters.com by clicking right here. I like the image on this poster. It does a good job of representing the movies and I like the fact that it proclaims the Hunger Games slogan, "May The Odds Be Ever In Your Favour." If you are a Hunger Games fan, you should check out The Hunger Games Unofficial Cookbook and the other great resources, including some free recipes, gathered on this page. Shown here a fan made version of Katniss Everdeen from The Hunger Games. Do you think that LEGO should create a Hunger Games themed set? Ever wondered what else actress Jennifer Lawrence has appeared in? Or when she started acting? Find her filmography here on this page. There's a whole lot more to this young star than the Hunger Games. Do you have a Mockingjay pin? I am a substitute teacher and it seems that every student at the school where I teach is a fan of The Hunger Games. I haven't read the books or seen the movie yet, so I was unfamiliar with the Mockingjay pin and its significance before reading your lens. Thanks for the education! All the best. Loved the book, can't wait to see the movie. I'd never heard of the Mockingjay till reading this! Thanks for the introduction. i want that exact charm bracelet and have had no luck on finding it any help? I haven't read the books, but the jewelry looks really nice. I have not yet had the chance to read this series of books. A dear friend of mine absolutely loves them and the Mockingjay pin or necklace would make a perfect gift, very neat! I most definitely want a mockingjay pin or earrings or both! Loved the series. I could not stop reading once I started and ran through all 3 really fast. I don't think I will be the only person in town wearing a mockingjay pin. I've not read the books either, but the Mockingjay jewelry looks intriguing. Of COURSE there's a mockingjay pin. I wish I'd thought of that! I'll admit that I haven't read any of the books yet, so I don't have a pin. 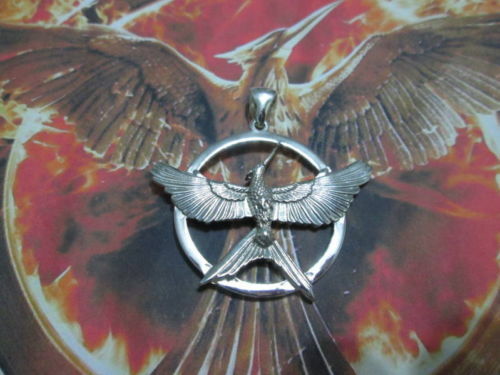 This is beautiful jewelry, though, and certainly a piece or two would make a great gift for a Hunger Games fan. Thanks for enlightening me!